I am reading the most amazing book in my bible study, “The Circle Maker.” This book is all about the power of prayer and really getting serious about your prayers to the Lord. It is filled with true stories of answered prayer and how to circle everything in your life with prayer. I am so encouraged to know that our sweet Lord hears it all- and loves us enough to answer. 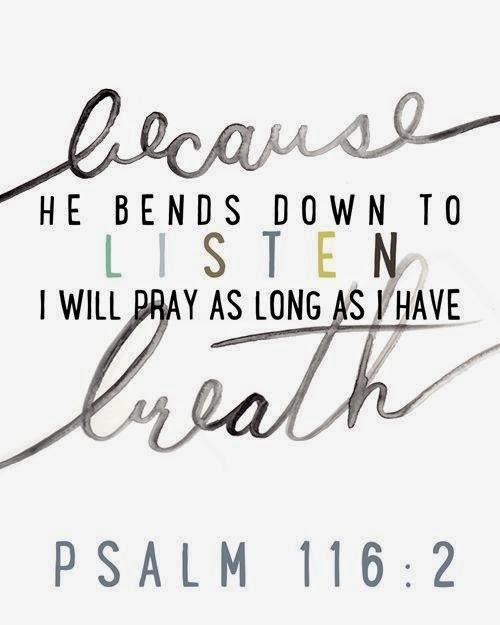 Be encouraged friends to know the He will never stop listening to you!